Deborah Cohen (Ph.D., Berkeley, 1996), Peter B. Ritzma Professor of the Humanities and Charles Deering McCormick Professor of Teaching Excellence, is a historian of modern Britain and Europe. She is currently at work on a book (under contract to Random House) about American foreign correspondents who reported from interwar Europe and Asia. Her subjects include John and Frances Gunther, H.R. Knickerbocker, Vincent Sheean, Louis Fischer and Dorothy Thompson. Cohen's first book, The War Come Home: Disabled Veterans in Britain and Germany, 1914-1939, was published by the University of California in 2001, and awarded the Social Science History Association's Allan Sharlin Prize. Her second book, Household Gods: The British and their Possessions, was published by Yale University Press in 2006; it won the American Historical Association's Forkosch Prize for the best book on Britain after 1485 and was the co-winner of the North American Conference on British Studies' Albion prize for the best book on Britain after 1800. Her third book, Family Secrets, was published in 2013 by Viking Penguin in the UK and by Oxford University Press in the US. It was awarded the American Historical Association's Forkosch Prize for the best book on Britain after 1485 and the North American Conference on British Studies' Stansky prize for the best book on Britain after 1800, and was the subject of a roundtable in History Workshop Journal. The Sunday Times (London), the Spectator, and the Times Literary Supplement also named Family Secrets a book of the year. 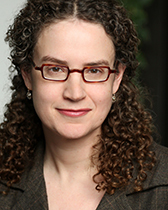 Cohen has held fellowships from the Mellon Foundation, the National Humanities Center, the Cullman Center for Scholars and Writers at the New York Public Library, the American Council of Learned Societies (Frederick Burkhardt Fellowship for Recently Tenured Scholars) and the John Simon Guggenheim Memorial Foundation. She was awarded the Clarence ver Steeg Faculty Award by Northwestern for her work with graduate students. Cohen writes regularly for The Atlantic and the Wall Street Journal. Faculty Affiliate, The Buffett Institute.